Javanmardi, S., Hosseininasab, H., Mostafaeipour, A. (2017). An exact Method for Stochastic Maximal Covering Problem of Preventive Healthcare Facilities. Journal of Industrial and Systems Engineering, 10(special issue on healthcare), 10-23. Saeedeh Javanmardi; Hasan Hosseininasab; Ali Mostafaeipour. "An exact Method for Stochastic Maximal Covering Problem of Preventive Healthcare Facilities". Journal of Industrial and Systems Engineering, 10, special issue on healthcare, 2017, 10-23. Javanmardi, S., Hosseininasab, H., Mostafaeipour, A. (2017). 'An exact Method for Stochastic Maximal Covering Problem of Preventive Healthcare Facilities', Journal of Industrial and Systems Engineering, 10(special issue on healthcare), pp. 10-23. Javanmardi, S., Hosseininasab, H., Mostafaeipour, A. An exact Method for Stochastic Maximal Covering Problem of Preventive Healthcare Facilities. Journal of Industrial and Systems Engineering, 2017; 10(special issue on healthcare): 10-23. Effective preventive healthcare services have a significant role in reducing fatality and medical expenses in all human societies and the level of accessibility of customers to these services can be considered as a measure of their efficiency and effectiveness. The main purpose of this paper is to develop a service network design model of preventive healthcare facilities with the principal objective of maximizing participation in the offered services. While considering utility constraints and incorporating demand elasticity of customers due to travel distance and congestion delays, optimal number, locations and capacities of facilities as well as customer assignment o facilities are determined. First, the primary nonlinear integer program is transformed, then the linearized model is solved by developing an exact algorithm. Computational results show that large-sized instances can be solved in a reasonable amount of time. An illustrative case study of network of hospitals in Shiraz, Iran, is used to demonstrate the model and the managerial insights are discussed. Aboolian, R., Berman, O., Drezner, Z. (2008). Location and allocation of service units on a congested network. IIE Transactions, 40, 422-433. Aboolian, R., Berman, O., Krass, D. (2012). Profit Maximizing Distributed Service System Design with Congestion and Elastic Demand. Transportation Science, 46(2), 247-261. Aboolian, R., Berman, O., Verter, V. (2016). Maximal Accessibility Network Design in the Public Sector. Transportation Science, 50(1), 336-347. Anand, K. S., Fazl Pa, M., Veeraraghavan, S. (2011). Quality-Speed Conundrum: Trade-offs in CustomerIntensive Services. Management Science, 57(1), 40-56. Berman, O., Krass, D. (2002). Facility location problems with stochastic demands and congestion. In Z. Drezner, & H. W. Hamacher (Eds. ), Location Analysis: Applications and Theory (pp. 331-373). New York: Springer. Berman, O., Drezner, Z. (2006). Location of congested capacitated facilities with distance sensitive demand. IIE Transactions, 38(3), 213-221. Berman, O., Drezner, Z. (2007). The multiple server location problem. Journal of Operatons Research Society, 58, 91-99. Daskin, M. S., Dean, L. K. (2004). Location of health care facilities. In M. L. Brandeau, F. Sainfort, W. P. Pierskalla (Eds. ), Operations Research and Health Care: A Handbook of Methods and Applications (pp. 43-76). New York: Kluwer. Denoon, D. J. (2009). U.S. adults dying of preventable diseases. WEBMD ARCHIVES. Farahani, R. Z., Asgari, N., Heidari, N., Hosseininia, M., Goh, M. (2012). Covering problems in facility location: A review. Computers and Industrial Engineering, 62, 368-407. Ghezavati, V. R., Jabal-Ameli, M. S., Makui, A. (2009). A new heuristic method for distribution networks considering service level constraint and coverage radius. Expert Systems with Applications, 36(3), 56205629. Hotelling, H. (1929). Stability in Competition. The Economic Journal, 39(153), 41-57. Marianov, V., Rios, M. (2000). A probabilistic quality of service constraint for a location model of switches in ATM communications networks. Annals of Operations Research, 96(1-4), 237-243. Marianov, V., Serra, D. (1998). Probabilistic Maximal Covering Location-Allocation Models for Congested Systems. Journal of Regional Science, 38(3), 401-424. Marianov V., Serra D. (2002b). Location problems in the public sector. In Z. Drezner, H. W. Hamacher, (Eds), Facility Location: Applications and Theory (pp. 119-150). New York: Springer. Pereira, M. A., Coelho, L. C., Lorena, L. A. N., Souza, L. C. (2015). A hybrid method for the Probabilistic Maximal Covering Location-Allocation Problem. Computers & Operations Research, 57, 51-59. Shavandi, H., Mahlooji, H. (2007). Fuzzy hierarchical location-allocation models for congested systems. 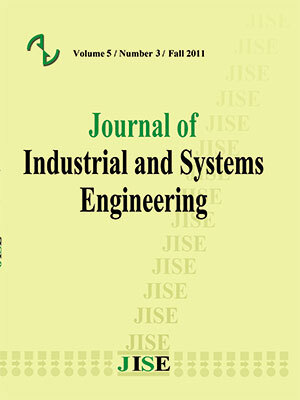 Journal of Industrial & Systems Engineering, 1(2), 171-189. Schilling, D. A., Jayaraman, V., Barkhi, R. (1993). A review of covering problems in facility location. Location Science, 1(1), 25-55. Verter, V., Lapierre, S. D. (2002). Location of Preventive Health Care Facilities. Annals of Operations Research, 110, 123-132. Vidyarthi, N., Jayaswal, S. (2014). Efficient solution of a class of location-allocation problems with stochastic demand and congestion. Computers & Operations Research, 48, 20-30. Wang, Q., Batta, R., Rump, C. M. (2002). Algorithms for a facility location problem with stochastic customer demand and immobile servers. Annals of Operations Research, 111(1-4), 17-34. Zhang, Y., Berman, O., Verter, V. (2009). Incorporating congestion in preventive healthcare facility network design. European Journal of Operational Research, 198, 922-935. Zhang, Y., Berman, O., Marcotte, P., Verter, V. (2010). A bi-level model for preventive healthcare facility network design with congestion. IIE Transactions, 42, 865-880.